Welcome to the first crypto currency invoice financing platform! Hive provides new financial liquidity to small businesses by leveraging blockchain technology, giving them a range of crypto-currency based financing options. Hive provides new liquidity to the SME market, purchasing micro invoices from trusted companies. 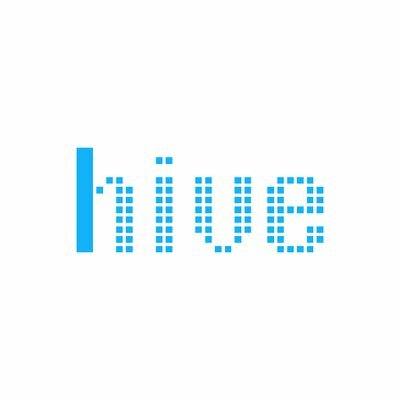 The company submits the invoice to the Hive exchange. The full and irreversible traceability of the invoices (ownership, due date, payment, etc.) makes them tradable assets. Each offer is based on the customer’s historical data, credit assessments and online profile. Hive grants access to Hive network services. Token owners will be repaid through a token buyback mechanism executed on the stock exchanges where HVN tokens will be listed. The amount of tokens repurchased will depend on the revenues generated on the Hive network. Once the token holders get their initial investment value repaid through buybacks, the project should be treated as mature and attractive for acquisition by key players in finance industry. If a takeover is successful, the proceeds will be split equally for each token. This will be confirmed 7 days after the ICO ends. 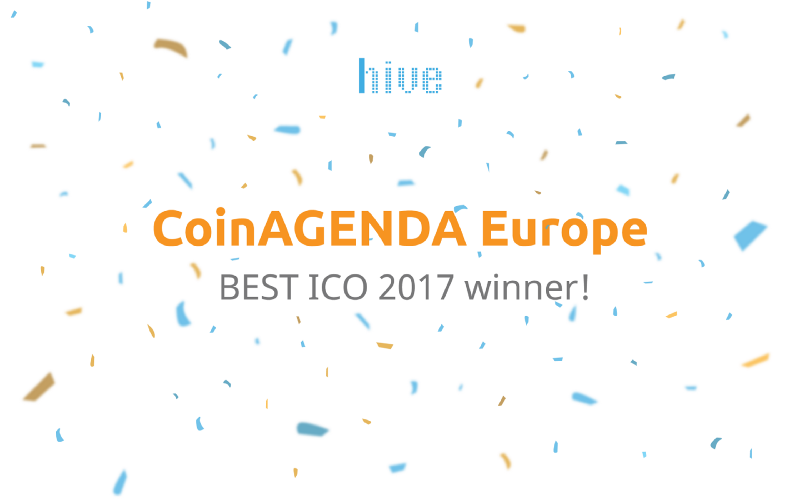 Hive Project wins Best ICO at CoinAGENDA Europe! We are happy to announce that Hive Project won the ICO and Startup Competition at CoinAgenda, the Bitcoin & Digital Currency Investors’ Conference in Barcelona. 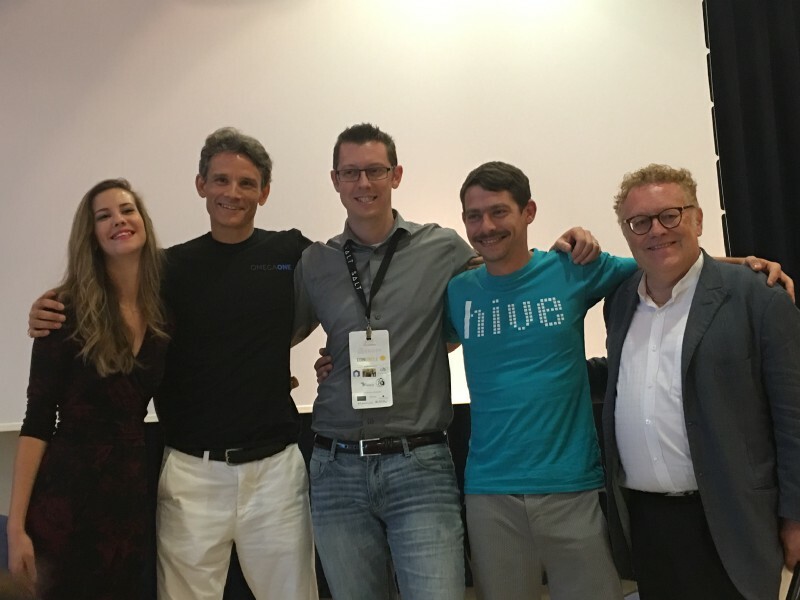 The judges for the event awarded Hive Project the accolade of being the top up-and-coming company, following in the footsteps of Bancor, which won CoinAgenda’s Puerto Rican conference in March. With previous CoinAgenda winners having gone on to raise millions of dollars in follow-on funding (Bancor raised $153 million), we are honoured to be their successor! “We are proud that our project and our efforts have been recognized by CoinAgenda’s judges and the rest of the community. 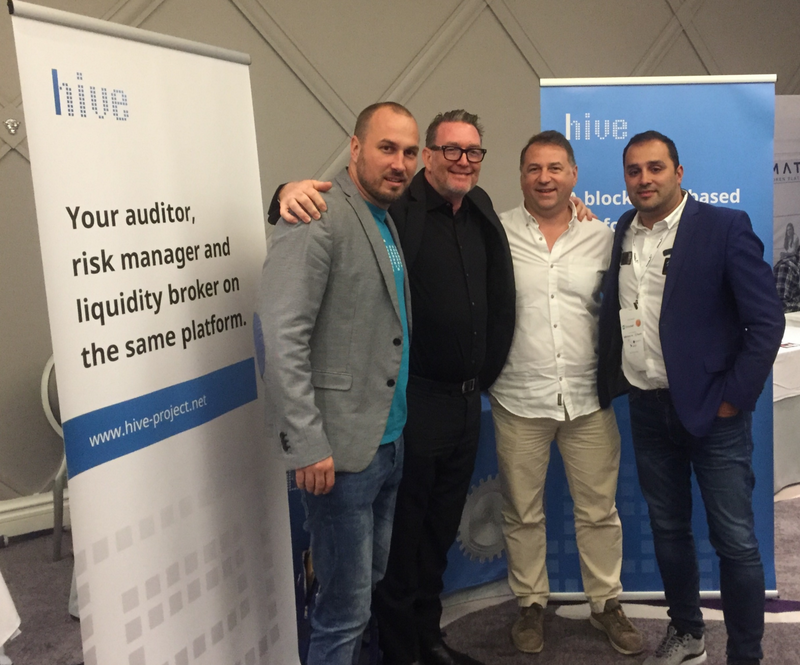 It gives us confidence to know that we are well on the way towards making a real difference and revolutionizing invoice financing in the process,” explained Jure Soklic, CEO and co-founder of Hive Project. Winners of CoinAGENDA Europe: Hive Project takes first prize as the most promising project. At each of its quarterly conferences CoinAgenda holds a startup competition in which a range of startups present their products and services to the judges, who evaluate the submissions on the basis of their innovation and creativity. Winning first place at CoinAGENDA Europe was the icing on the cake after 3 great days spent at one of the online community’s biggest conferences. We talked to some of the world’s leading investors, discussed Hive Project with some of the greatest minds in the industry, and outlined the benefits in front of a rapt audience. We received lots of very useful feedback and some amazing responses from the investors in attendance! With Bancor and other CoinAgenda winners having gone on to raise millions in funding, we are surer than ever that the Hive Project ICO will be a resounding success. Want to be part of a winning project that’s set to revolutionize the finance industry? Join the discussion on Slack and follow us on Facebook and Twitter. Hive Project (HVN) BOUNTY CAMPAIGN DISTRIBUTION! As mentioned in our ICO ANNOUNCEMENT we set aside 2% of the total amount raised for our bounty campaign, which we will distribute to everyone who supported Hive Project before and during the ICO. Since we wanted to reward only SERIOUS supporters, we carried out several activities including the elimination of all spam and obvious misuses of our campaign, such as multiple accounts, and filtered out any non-relevant content or posts. We have now completed a thorough analysis of the thousands of applications received and filtered out those that did not meet our criteria for bounty payments to be made. Although many of our applicants followed our instructions perfectly well, we found several examples of one or more failures to do so. For example, some users applied twice or more — we can accept only one application from each bounty participant. In addition, several applicants also either did not have enough real Twitter followers (100 minimum) or had locked accounts. To compound issues, some of our Twitter applicants also did not have a sufficiently high Twitter Audit score (80% minimum). The situation with some of our Facebook applicants was similar: some failed to share their posts publicly, which meant we could not see them, and others had their profiles limited to a specific region. For our translations bounty, several applicants failed to finish their task, which meant that the most crucial criterion was not met. There were similar results for blogs and news stories. Either the task was not finished or duplicate applications were submitted. Therefore, understandably, we cannot issue a bounty for those applicants. However, for those of our participants who did follow the rules clearly set out at the start of our ICO, thank you! We are delighted to reward you for all your hard work and commitment! We will contact you through the channel you have helped us with in our campaign. So keep an eye out for our private messages on Facebook and Twitter. If you participated through a different channel, we will send you an email to the address you provided when applying to join our campaign. Write to us ([email protected]) ONLY if you don´t receive a message in the next 48 hours!! 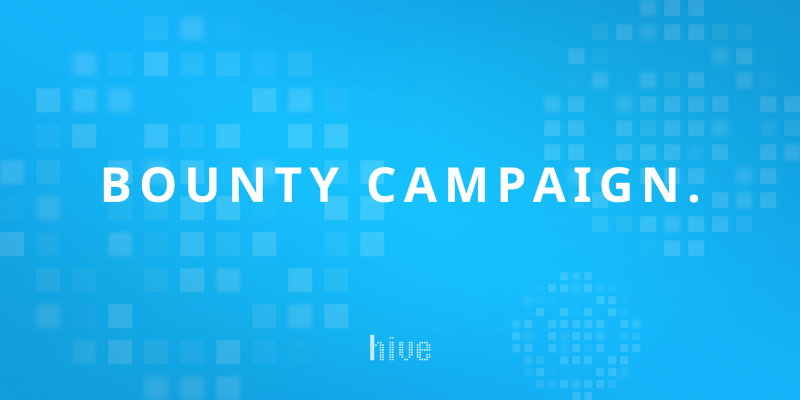 We’re happy to say that the distribution of Hive Project bounties has been completed a few days ago. Still, we have lately been dealing with a lot of individual requests regarding looking into a specific bounty payment. We want to stress that all the bounties, to eligible bounty participants, have been payed out for activities connected to Hive Project ICO. To clear this situation we have compiled a list of several reasons why some of the bounties, you’ve inquired about, haven’t been payed out. We will list them in descending order by occurrence. Some followers failed to check the eligibility criteria for participation in Hive Project ICO bounties. Either the content was in the wrong language, the account didn’t have enough reach in terms of readers/followers or they have misunderstood the required task (example: clapping to Medium posts, which was not a behaviour that would be awarded with a bounty stake). We have seen a number of accounts try to tag Hive Project in irrelevant or spammy social media posts. Those bounty participants were deemed ineligible to receive the bounty, since we wanted to reward only SERIOUS supporters. As described in our ICO bounties blog post, we have asked all bounty participants to have their social media feeds audited, having a minimal score of 80% of real users following a specific Twitter account. Some bounty participants failed to clear that benchmark. Lowest score of one of the participants was 22%, so understandably, we can not reward such efforts with a bounty. We have disregarded any bounty participant, who has tried to game the system by applying to Hive Project ICO bounty with multiple accounts. We have tried to make the equal playing field throughout the bounty program, so we believe this kind of behaviour was against it. We have contacted social bounty participants through Twitter Direct Message and asked that the ETH addresses for Facebook bounties should be provided through a form by September 1st at 10.00 a.m. (UTC). One third of bounty participants failed to respond to our Twitter Direct Message and half of Facebook bounty participants didn’t supply the information through the Google Form. While we understand the frustration of those participants who have failed to do so in time, we gave all participants time to do so. The delivery was made via an automated process, so waiting was not an option. We would once again want to thank you all for supporting our campaign and making Hive Project a reality. 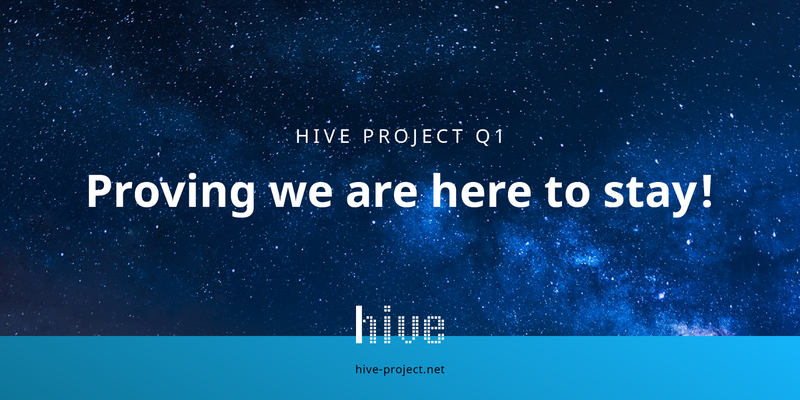 Hive Project Q1: Proving we are here to stay! Just 3 months after successfully completing our crowd-sale campaign, I am amazed at what we have accomplished in our first quarter. I look at our results — a working PoC, a recognised and respected brand, high levels of awareness in our first target markets — and it is clear that we have well and truly arrived. And our highly dedicated and motivated team keeps proving why that is set to remain the case. Delivering a blockchain based platform and providing small and medium sized businesses around the world with fast and low-cost liquidity is an obsession for each and every one of us. With our remarkable and highly dedicated team spending most of their waking hours driving Hive Project on to even greater heights, we understand where our long-term strength lies. It’s all about substance, and executing with style. We first made a case for ourselves at CoinAgenda Global in Barcelona. After a lengthy and thorough investigation of the merits of our concept, we saw off strong competition to win best ICO and the top up-and-coming company in the blockchain sphere. But we did not stop there. Stepping up to the plate is in our nature. This time it was on the main stage at one of the most prestigious conferences in the blockchain sphere. With the Hive Project Platform now making giant leaps and bounds toward its end goals, we also understand how crucial it is to devote attention to the business side. Again, we are on track with progress, and our Marketing and Communications team is working round the clock to ensure that Hive Project is recognised as one of the leading fintech brands in the new economy. With our team taking the stage at some of the most prestigious conferences regionally and globally (targeting both the crypto community and business world), we are well on our way to building a respected international brand. Nevertheless, the efforts made by the rest of the team in recent weeks have been equally important — our CFO, Ugur, and other members of the team have been attending meeting after meeting all over Europe to ensure that our go-to market strategy holds its course when the Hive Project Platform is ready. I have been thrilled with the responses and progress we are making on that front, and I am sure that the integration of Hive Project into the ERPs and accounting software providers in the markets we are targeting will run smoothly and efficiently. Our PoC announcement represented the fulfilment of one our key promises. We have now proven that we are on the very cusp of making a real-life business contribution that will revolutionise the way small businesses around the world get the liquidity they need. This will only be underlined with our PoC2, adding some visibility and making sure that the business side is in step with the progress made by our developers — transforming Hive Project into a source of liquidity to be reckoned with in the new economy. We will be pressing on relentlessly in that direction and I am incredibly excited about the announcement we will be making next week! And don’t forget! Hive Project will be taking its rightful place alongside the best and brightest visionaries in the financial world on 4 December in San Francisco. Our CFO, Ugur Yildirim, will be representing Hive Project as a panellist in the company of distinguished names such as JPMorgan Chase, Capital One, 500 Startups, MasterCard as well as other leading lights in the fintech industry. So, it’s not just the long-term future that looks bright — the days and weeks ahead promise to be full of exciting news and progress too! As always, stay tuned for more progress and updates! You are more than welcome to join our TELEGRAM channel for the latest news and updates from our team. Please come and join us!